Classic Monsters of the Movies issue 15 is another journey into the world of classic horror cinema, with the combination of stills, information and commentary that makes it the world’s favourite classic monster movie magazine. Daniel Horne’s vibrant oil painting of Henry Hull is the perfect lead-in to an exploration of 1935 Universal thriller WereWolf of London, which brought lycanthropy to the English capital in style. Its perfect mix of performance, monster design and stylish direction created a werewolf tale which is as exciting today as it was then. Our cover feature is packed with beautiful stills from the movie as well as a wealth of information on why WereWolf of London remains such a favourite for monster fans. 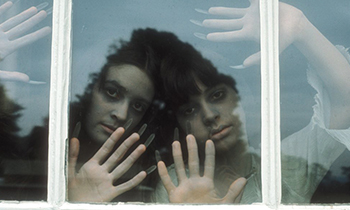 Elsewhere in this issue, you’ll find the concluding part of our extended Chilling Cherubs feature with a rundown of horror cinema’s creepiest kids. Whether they’re the spawn of evil, or fighting back against the forces of darkness, you can’t deny that there’s something eerie about children in horror movies. We also look more widely at the motion picture landscape with a biography of industry legend Irving Thalberg, whose work in shaping the modern movie industry helped to give us the world of cinema as we know it today and launched the careers of beloved stars including Lon Chaney, Lionel Barrymore and Jean Harlow before his untimely death at the age of just 37. Hammer take us into the snowy wastelands this issue, as we go in search of The Abominable Snowman and take a look at one of the studio’s less-celebrated offerings. Peter Cushing is perfect in a tale where things aren’t quite what they seem… no fan of the British gothic masters will want to miss this article. 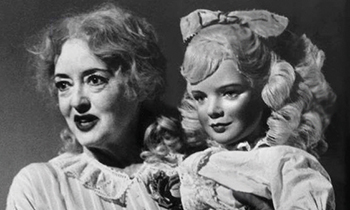 On the other hand, if you prefer your horrors a little more offbeat, our feature on What Ever Happened to Baby Jane? is just what you’re looking for. Though often pigeonholed as a piece of camp fun, this screen showdown between Bette Davis and Joan Crawford is actually packed with tension and more moments of psychological trauma than you’d care to count. We explore the horrors that unfolded on-screen, as well as the backstabbing that occurred after the cameras stopped rolling. That’s just a taster of what awaits you in issue 15 of Classic Monsters of the Movies. Our team of world-class writers brings the atmosphere of every movie to life, while slick, clean design allows you to make the most of each lovingly reproduced piece of imagery. Produced to the very highest standard, Classic Monsters of the Movies is the horror film magazine you’ve been waiting for. 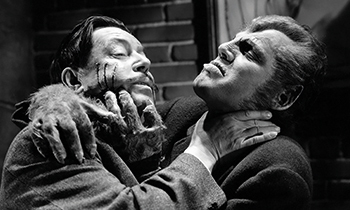 WereWolf of London – the worlds of lycanthropy and botany collide in Universal’s 1935 classic, with Henry Hull battling to keep his darker side in check in a movie that’s packed with excitement. 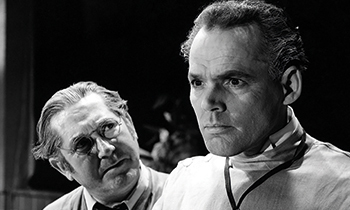 The Abominable Snowman – our loving exploration of Hammer’s 1957 horror drama rediscovers the mood of uncertainty and primal fear that makes this such an enjoyable movie. 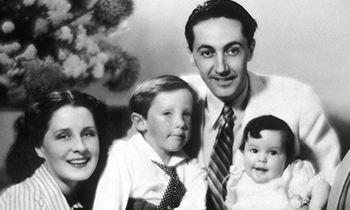 Irving Thalberg – many movie fans don’t know his name, but his influence is everywhere in the film industry. As one of the co-founders of MGM, and the pioneer of production processes that we take for granted today, he shaped Hollywood in all kinds of ways but found his life blighted by ill health. 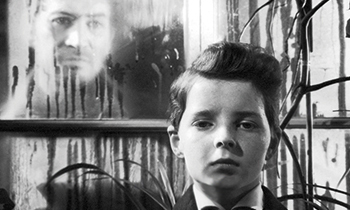 Chilling Cherubs, Part 2 – the children of horror cinema are back, with movies including The Innocents and The Changeling – not to mention many more – coming under the microscope. Issue 15 of Classic Monsters of the Movies is packed with lavishly restored movie stills and artwork printed to the highest quality. Vibrant full colour design gives this world-class publication a depth, flair and quality that you won’t find elsewhere, while professional journalism brings the classic horror movie genre back to life. Classic Monsters of the Movies is the ultimate publication for any monster kid. 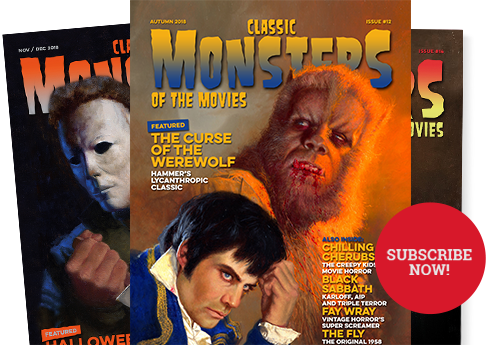 Alternatively, you can receive a discount on each issue, as well as an exclusive FREE gift with each issue, when you purchase an advance subscription to Classic Monsters of the Movies – click here for details!